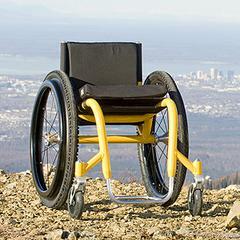 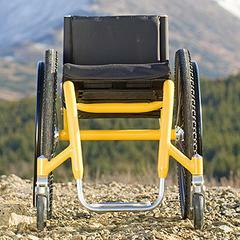 The BT-Trail is a cross between powerful outdoor vehicle and efficient everyday chair. 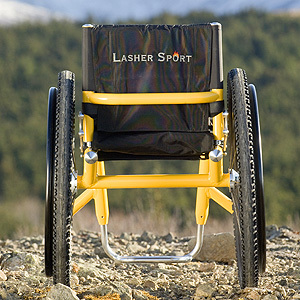 It is constructed with a Caster Forward™ design that offers wider caster stance and aligns the front casters with the foot plate to create a more stable wheel base. 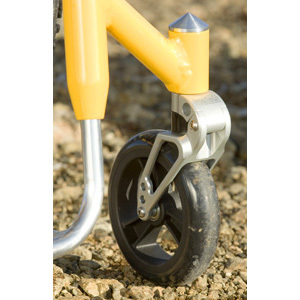 This carefully balanced design counteracts the instability and "face plants" that occur with poorly balanced casters located behind the front foot rest. The BT-Trail is fully off road capable yet still stable enough to enjoy on pavement. 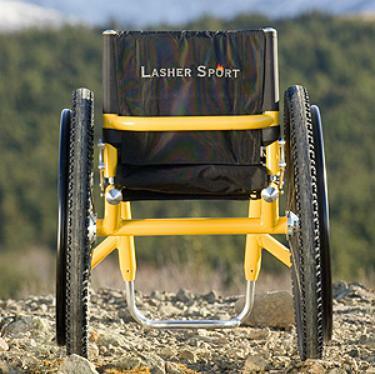 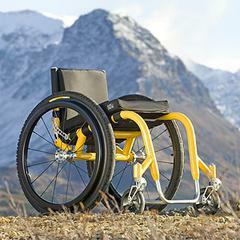 This exclusive trail-tested model guarantees an exceptionally multi-functional chair either off the road or on it. This balance optimized wheelchair boasts a 1.5" 6061 T6 aluminum tube frame, tension adjustable seating and backrest, Spinergy wheels and Frog Legs Ultra-Sport caster forks and upgrade options for adjustable center of gravity functionality. 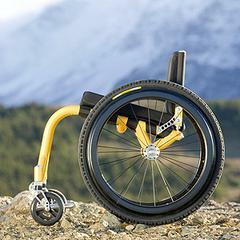 At a total weight of just 21.5 pounds, this durable wheelchair offers refined balance and a multi-functional ride.